Lyme disease is spread by ticks. It's becoming more common in the Southeast and Florida. These two Lyme disease species, Borrelia americana and Borrelia andersonii, were found in symptomatic patients living in the Southeastern United States. The commonly found lone star tick, formerly believed by many to be incapable of transmitting Lyme disease, was implicated in some of these cases. His research, published in the May issue of The International Journal of Medical Sciences, is significant for several reasons. First, only one Lyme bacterial species, Borrelia burgdorferi sensu stricto, was previously recognized to cause disease in North America. Current testing methods and interpretation criteria, designed to detect just one species, may explain many of the complaints involving the unreliability of Lyme disease tests in the U.S.
Clark and his team identified lone star ticks removed from humans who tested positive for Lyme bacteria, including the species of Borrelia burgdorferi, already known to cause the disease in North America. Some of the ticks removed from the patients tested positive, too. Know where to expect ticks. Blacklegged ticks live in moist and humid environments. To avoid ticks, walk in the center of trails and avoid tall vegetation. Use a repellent with DEET. Repellents containing 20% or more DEET (N, N-diethyl-m-toluamide) can be applied to the skin, and they can protect up to several hours. Perform Daily Tick Checks. Check your body for ticks after being outdoors, even in your own yard. 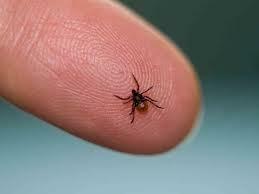 Conduct a body check upon return from potentially tick-infested areas by searching your entire body for ticks.